We all need to stay active, but for older adults, it’s especially important. Our sense of balance and bone strength can all be improved when we get in regular activity. As it starts to warm up in New Jersey, we can finally start to do more outside! Able Care Group offers the best installations for stairlifts, wheelchair ramps, vertical platform lifts, and elevators — but we also offer any advice we can give to further help our customers. Learn about some spring activities in our blog, and call us to set up your mobility solutions installation today. Gardening is easy to do for adults at any age. Some older adults might have their own gardens to tend to (and have probably already started their seeds indoors). Others might need a bit more help, but you can easily assist. For indoor gardens, buy some soil, seed packets, and a starter kit for growing plants. You can help your loved one get some seeds started, then help them later plant seeds into bigger containers or spaces as needed. 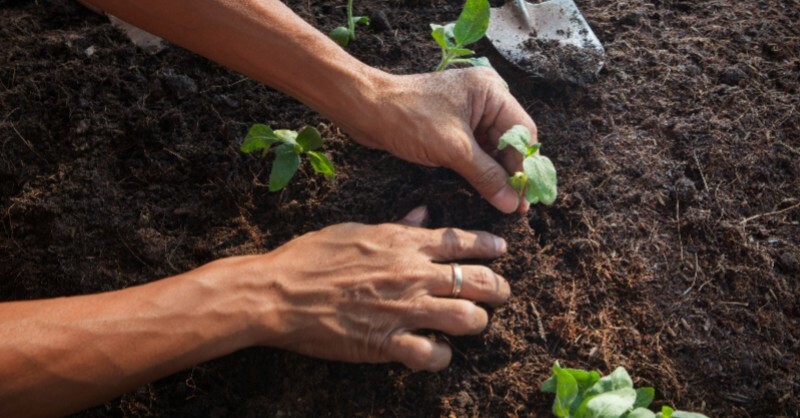 Gardening helps with motor skills, concentration, and even memory — remembering to water (or not water) is essential! If all goes well, you can enjoy the fruits of your labor by the summertime. Even if you don’t have a lot of veggies or fruits coming up, it’s still a fun, connecting activity that’s perfect for spring. Your loved one might need a stairlift or wheelchair ramp to move safely from different levels, but getting outside for short walks is a great activity. Even if it’s just to get the mail or down the street and back, it’s better than nothing! Our muscles and bones begin to atrophy when we don’t use them, and our sense of balance can also deteriorate. This is bad for anyone at any age, but as we get older, we’re more prone to falling — the consequences of falling can be much worse when we’re older. If your parent or grandparent (or you) are worried to walk, invest in a cane or a walker to help make mobility feel safer. As always, you can make mobility even more secure by investing in a stairlift or platform lift. At Able Care Group, we have outdoor options that make going down the front or back porch steps a worry-free experience. Even if you don’t celebrate Easter, decorating eggs is a fun activity for all the creative types to enjoy. Purchase a white crayon and a dyeing kit, boil up some eggs, and have fun decorating! Like gardening, egg decorating utilizes fine motor skills — an excellent activity, especially for someone who might struggle with hand tremors (if tremors are severe enough, just opt for dyeing the eggs instead of drawing on them as well). Creative activities are important for keeping the mind active. Additionally, egg decorating is great because a) it keeps some healthy snacks on hand for your loved one and b) it might take them back to some amazing memories. Sharing in these experiences builds connection. Who says only kids can do Easter egg hunts? These are fun for anyone to partake in (particularly if there are prizes involved). Whether you go the old fashioned route with those aforementioned hardboiled eggs or purchase some plastic ones to be filled with Easter candy, it’s a fun way to get outside and move around. Just be sure to put the eggs in easy-to-access places — the purpose of this activity is movement, not trying to stump anyone. Cleaning isn’t considered “fun” by any means, but Mary Poppins wasn’t wrong when she said that in every job that should be done, there is an element of fun. Spring is known for being the perfect time to deep clean the house, tidy things up, and get rid of things that should no longer be present. If your loved one has to tackle cleaning all on their own, they either might avoid doing it (it can be a lot of work), forget to do it, or not have the physicality to do it all themselves. You can make an afternoon out of it, however, and spend some time with them. Cleaning becomes way more fun when you blast some favorite tunes, take breaks to look through old photo albums or memorabilia, and reward yourself with a delicious meal or other treat. Not to mention, cleaning takes a lot of energy, and is another great way to get moving! Since summer is on its way, another great spring activity is getting your installation for stairlifts or wheelchair ramps scheduled now with Able Care Group. Make going outside easier than ever — work with our mobility solutions team! We look forward to working with you, and Happy Spring!